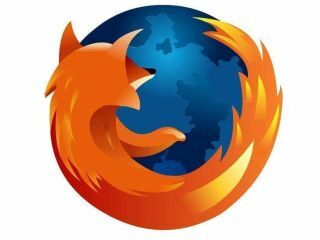 We have angels and devils living in our heads, and they're having a fight about Firefox. "Firefox developers are brilliant!" say the angels. "We must support the grass-roots development community!" We nod sagely in agreement. "Sod that!" say the devils, "Look at this crap!" Today, friends, is a devil's day. Look at this crap! Wouldn't it be great if, instead of 'Mozilla Firefox', the browser window used random names such as 'Firebadger', 'Spacebeagle' or 'Hypnotoad'? Er, no, which is probably why developers Cosmic Cat haven't bothered to update Firesomething for Firefox 3. "Learn touch typing of the numpad keys" with this add-on - or just, y'know, type in lots of numbers. That works too. Numpad Typing Drills is well-intentioned, but we can't help feeling it's a little bit pointless. And by "a little bit", we mean "completely". Is it time to panic yet? Find out instantly with Homeland Security Threat Level, which shows the current US Homeland Security Threat Level in the status bar. Maybe someone could make a version with Sarah Palin carving the threat level on the side of a moose. Is Canadian comedian and TV personality Tom Green broadcasting? On the internet? Right now? Who cares? Smart Stop/Reload: because having separate stop and reload buttons is such a pain. Controversial, this one: it's designed to hide your search activities by sending randomised queries to all the major search engines. Fans say it's necessary, but critics point out that it makes your browser act like malware. Google for one doesn't like it - and let's face it, few people's searches are interesting enough for anybody to bother reading them. Fans of nerdcore rapper MC Chris rejoice! Now you can easily access MC Chris things on the internet by, er, having a menu of bookmarks. All hail our site-specific toolbar menu overlords! There's a calculator in Windows. There's a calculator in OS X. There's a calculator in Linux. Which raises two questions: why do you need this? And what websites are making you do sums? From the mind that brought you STOP! Hammer Time! - which played MC Hammer whenever you hit the Stop button - now comes STOP! In the name of love! Guess what it does. Go on. Guess. How many times have you thought "blimey, wouldn't it be great if I could translate text into Esperanto, the well-intentioned 'universal language' that only people with beards use?" That's right. NO TIMES. Props to Digg user Akuma who suggested a list of lame Firefox extensions in a discussion about our 25 essential Firefox add-ons for power users article over on digg.